CG Haenel GmbH develops, produces and distributes high-quality hunting, sporting and governmental weapons - from the traditional location in the old weapon town Suhl to the whole world. If you can't find the Haenel rifle you are looking for, we do supply further models, please don't hesitate to ask for more information. The Suhler company was founded by Prussian gunfabrik commissar Carl Gottlieb Haenel in 1840. Since the 16th century, firearms have been produced here, at the gateway to the Thuringian Forest. CG Haenel is thus one of the centuries-long tradition of riflemen, And industrial enterprises of the region. The historical brand CG Haenel represented technologically superior weapon systems mainly for the military, which were closely linked to the designs of the weapon designer Hugo Schmeisser . Many automatic and fully automated weapons were made by CG Haenel and Schmeisser, who was the co-owner of the company. 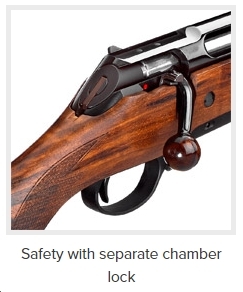 The developments of Schmeisser at CG Haenel also include the machine karabiner 44, the first storm gun in the world. Over the GDR years and up to today are manufactured in Suhl weapons under the quality label CG Haenel - since 2008 again as an independent enterprise. The company is now part of the Merkel Group, which in turn belongs to Tawazun Holding (UAE). Every marksman is individual and every situation is different. 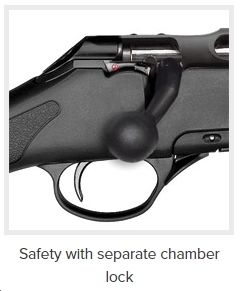 Haenel has developed a system which caters to these demands: Two concepts allow the rifle to be adjusted to fit the individual user and situation and both were at the centre of Haenel’s development quest. 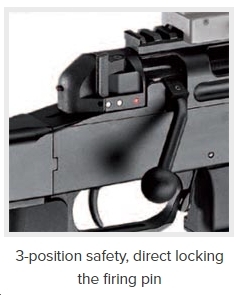 One is about ergonomics; the ability to make the weapon fit the marksman, and about modularity; which is defined by the interfaces a system offers to components and accessories. The technology incorporated in these concepts is trimmed to the highest professional demands. 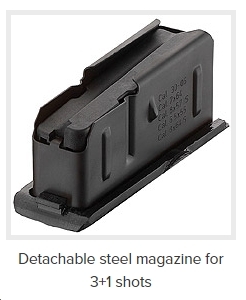 Only the best materials are used. This, coupled with the long years of experience in surface and heat treatment technologies produces a precise, reliable rifle with a long product life. 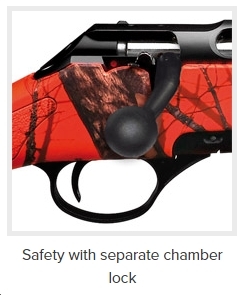 The ergonomic concept is based on a tool-less adjustment of the gun with the support of “quick” adjustments. 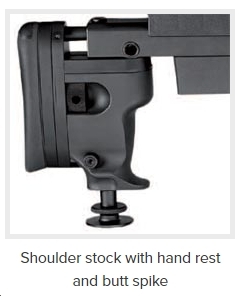 The Stock can be adjusted not just in length, but also in height. 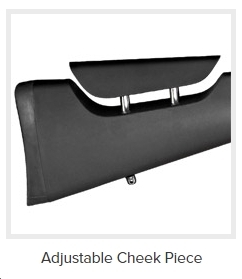 The cheek-rest, which is also adjustable in height and sideways and allows usage by left and right handed marksmen. 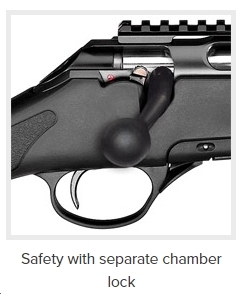 The precise trigger action can be adjusted for pullresistance, trigger pull and longitudinal position and take up pull. The pistol grip adapter (AR 15 style) allows the user to select from a wide variaty of different pistol grips. The robust fiberglass-reinforced PVC parts give a comfortable feel, even in cold and wet conditions. In summary, the concept affords the marksman the conditions for concentrated aiming and shooting. The modular concept is based on the universally recognised interfaces for accessories; from the pistol grip adapter to the mounting rails for aiming devices and acessories (MIL Std 1913). 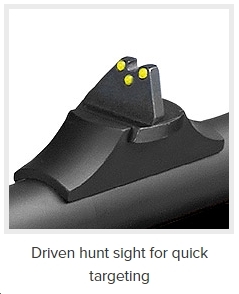 A picatinny rail is milled into the system housing, this permits highest precision connected with a low line of sight. A further picatinny rail is integrated on the bottom of the chassis in front of the hand-guard. The front of the RS 8 chassis offers the ability to attach Parker-Hale or Harris supports. 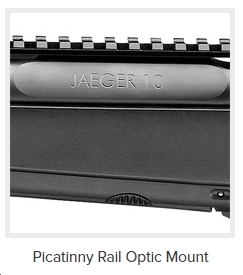 Optional picatinny rails on the sides and a barrel-surrounding aluminum brace with integrated picatinny rails for night-sight adapters offer other options. 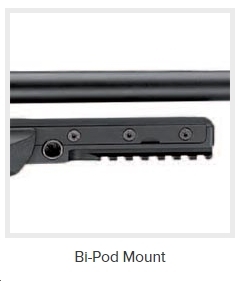 The barrel thread is compatible with all standard silencers and flash hider. In summary, the modular build of the system allows the marksman to use the most suitable equipment in any given situation. Calibre .308 Win. l .300 WinMag. 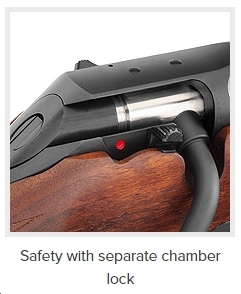 * Effective range depends on ammunition and environmental and operational conditions. Figures shown are solely to aid barrel selection. 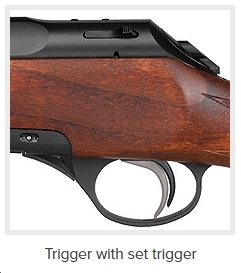 If a wooden stock is to survive in tough everyday hunting, the Jaeger 10 Standard is the right choice. The grade 1 stock is robust and, as traditionalists prefer, in Monte-Carlo style. Can a hunting rifle that is equally at home on driven hunts and in precision shooting be improved? The answer is yes: by retaining its impressive qualities and customising it for the individual requirements of its users. Haenel expanded its best-selling Jaeger 10 range, and is proud to present the responsive bolt action rifle manufactured in Suhl in an unprecedented variety of models. The hunting rifle with its forged receiver, its smooth action, cold-forged barrel and safe six-lug bolt, is now available in seven more versions as a product family: two versions with camouflage print, two Varmint versions for great precision hunting, a timber version in wood class 4, a short tracker and a lightweight Mountain Jaeger 10. The Jaeger 10 Timber LX impresses with its details: a fine grade 4 walnut stock, receiver and barrel from burnished steel, bolt handle with a ball in walnut. Steel and wood form a symbiotic combination on this elegant and precious rifle. 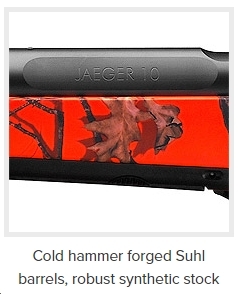 The Jaeger 10 with synthetic stock stands for robustness: it ensures a good grip whatever the temperature. The fibreglass-reinforced, anthracite high-tech material has a greater breaking strength than wood, and is scratch-resistant. 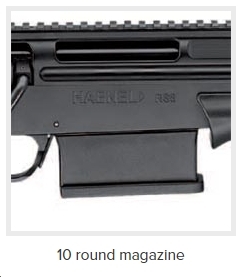 The Jaeger 10 Tracker is a leading and well-balanced rifle with a 51 cm barrel. 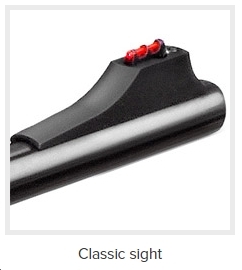 With its robust and lightweight plastic shaft, it is the ideal recommander for the moving shot on the hunt. Their handiness also makes them a practical companion for the aftermath. The Jaeger 10 Varmint is a hunting rifle designed for precision with a semi-weight barrel, a robust synthetic stock, a bipod adapter on the fore-end and a Picatinny rail. The Jaeger 10 Varmint Sporter is a hunting rifle designed for precision with a semi-weight barrel, a robust synthetic stock, a bipod adapter on the fore-end, a Picatinny rail and it also features an adjustable cheek-piece – for precise shooting in different positions. 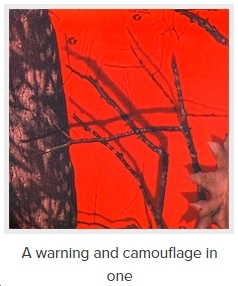 A warning and camouflage in one: the orange (OR) camouflage stock cannot be detected by the game and it is a safety signal for hunters. 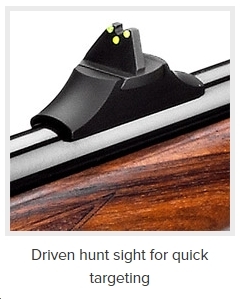 Its synthetic stock is robust enough for the undergrowth and the driven hunt sights were optimised with a sloping rear sight and illuminated front sight.